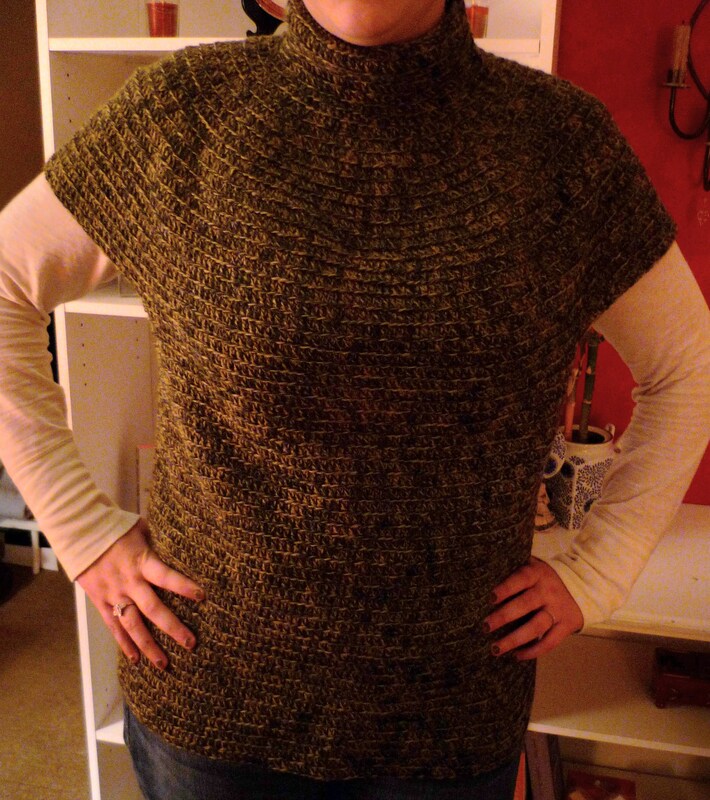 My Icelandic turtleneck is finished but not yet completed. I had to rip it back the first time because of bunching in the yoke. Although the bunching is still there, it’s less noticeable. The little details I plan on sewing on will correct any flaws…I hope. So for now, this is what I have to show for a months worth of crocheting….. Entry filed under: craft, crochet, Uncategorized. Tags: Icelandic Turtleneck.